To start we swapped out the front OEM suspension for our smooth-riding, compact double-bellows air spring mated with a monotube threaded body strut. For a truly adjustable experience, our struts have 30 different levels of damping so you can go from racetrack stiff to super-smooth with the twist of the damping knob. Top all this off with adjustable camber plates carved out of T6061 aluminum and anodized in a deep red hue. As impressive as all this sounds, what is even more impressive is how your Civic will look sitting 4.48? lower than stock! In the rear, we have replaced the coil spring with our double-bellows air spring to match the ride quality with the front. 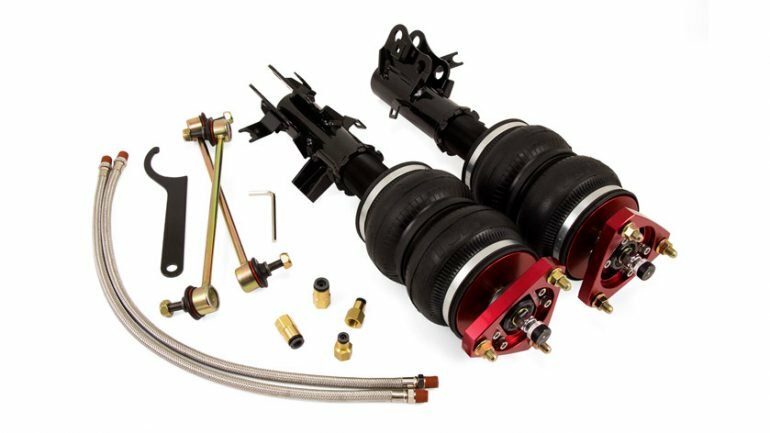 We also replace the shocks with our own 30-level damping adjustable monotube shocks for the ultimate in handling performance. We have even included a heat shield to help protect the right rear air spring from exhaust heat. 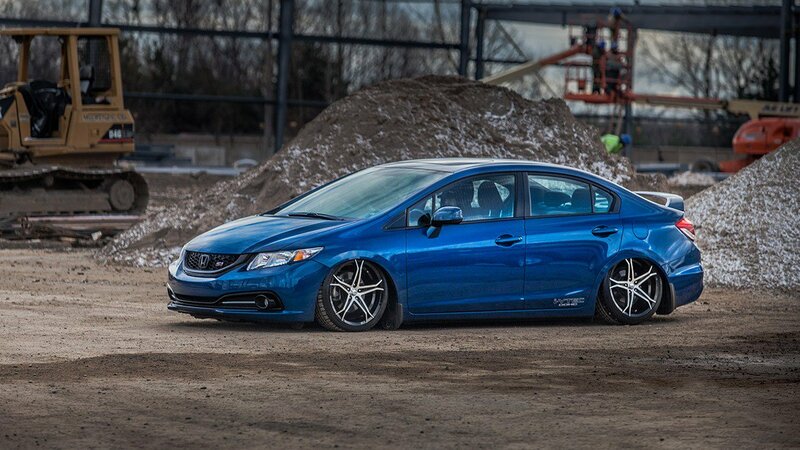 As you can see, we have included everything to allow you to drop the rear of your Civic 5.8? from stock!